You'd never know America's middle class was in trouble from watching the Republican debates Wednesday night ... unless you were checking Bernie Sanders' Twitter feed. The middle class merited only three mentions in the three-hour main debate -- one each from Chris Christie, Donald Trump and Jeb Bush. There was scant discussion on job creation and wages, aside from a short exchange between Ben Carson and Scott Walker on the minimum wage. Income inequality was never uttered, while poverty was barely touched on. This despite the fact that the U.S. Census Bureau reported earlier Wednesday that median income remained essentially flat for the third year in a row and the poverty rate stayed the same. 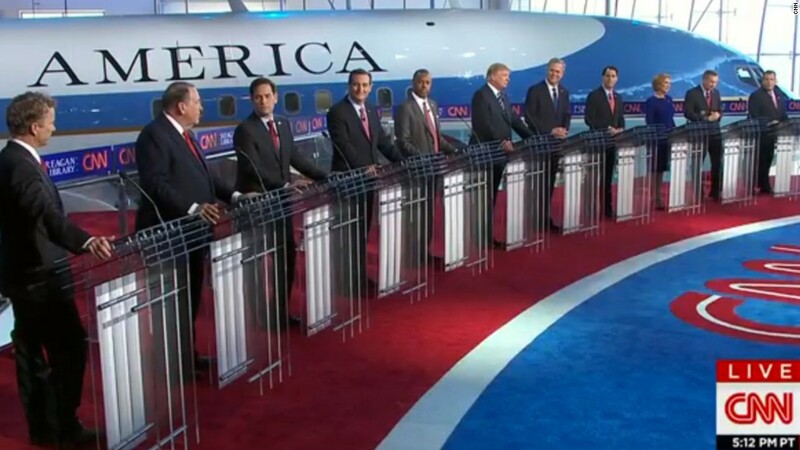 It took until the candidates' closing statements for one to say that the nation has a problem on its hands. "Six million more people are living in poverty than the day that Barack Obama got elected president. Six million more people," Bush said. "The middle class has had declining income, workforce participation rates are lower than they were in 1977." Anyone waiting to hear how the Republican candidates would spur job creation or lift wages would have been disappointed ... as Sanders pointed out repeatedly on Twitter. The Democratic candidate, whose campaign revolves around lifting up low- and moderate-income Americans, criticized his GOP rivals for ignoring what he considers important topics, such as income inequality, poverty and making college more affordable. Sanders will have plenty of time to voice his views on these issues in a few weeks. The Democratic candidates for president hold their first debate on Oct. 13 on CNN.